Vitra Miniature Coconut chair, Nelson: In contrast to the trend of adapting sitting furniture to the requirements of the human body, George Nelson designs sitting objects from the formal repertoire of spontaneous, popular everyday culture. The shapes he used were strongly stimulated by the art of the 1950s. His symbolic statements promoted a new, very casual form of sitting. Vitra Miniature Coconut chair, Nelson: In contrast to the trend of adapting sitting furniture to the requirements of the human body, George Nelson designs sitting objects from the formal repertoire of spontaneous, popular everyday culture. The shapes he used were strongly stimulated by the art of the 1950s. His symbolic statements promoted a new, very casual form of sitting. 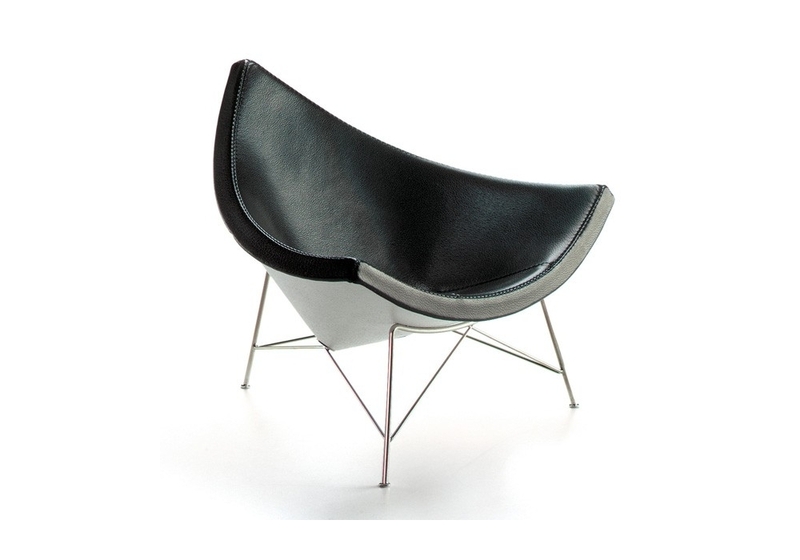 Nelson’s Coconut Chair was inspired by the coconut shell. 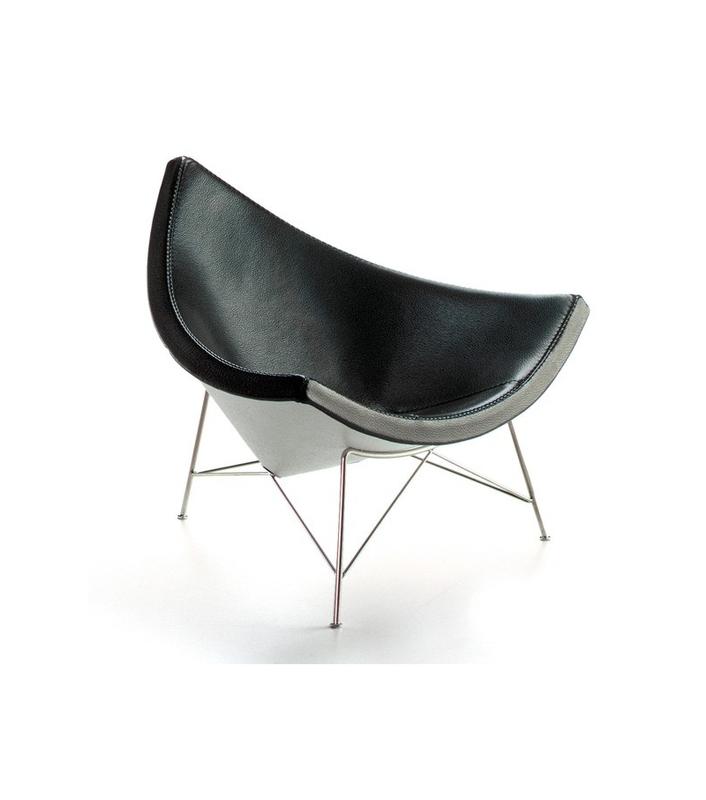 The seat consists of a glass-fibre reinforced plastic shell with upholstery. The three-legged base of tubular steel is stabilized using fine crossbars. One has the impression that the frame spans the floating, swinging form taut and fixes it to the floor. 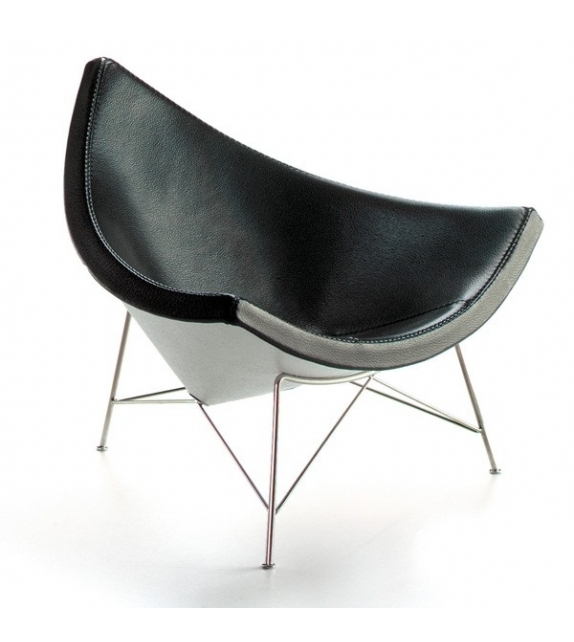 Steel, glass-fiber reinforced plastic, leather.